Update September 2018 - This is v2 (beta) of SoundSmith, the great music tracker from Huibert Aalbers. It is now updated to support the 4soniq card, you can output sounds in up to eight different channels. There are some new features included. The page also includes v2 of Tool219 that supports the 4soniq card as well. Visit Huibert's site at http://www.huibert-aalbers.com/AppleIIgs/Apple2gs.html. Also visit and purchase the 4soniq card at https://manilagear.com. 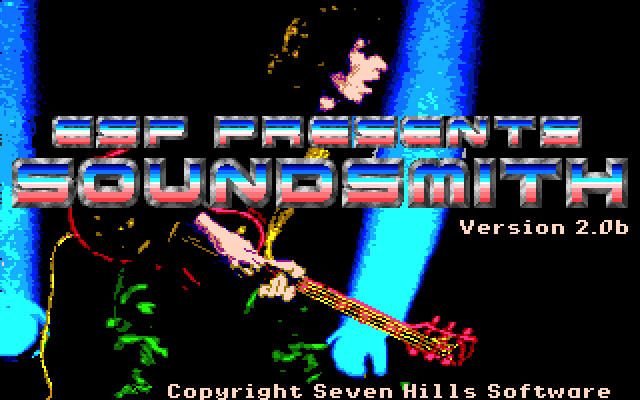 SoundSmith is the well-known and most widely used music tracker on the Apple IIgs. Originally written by Huibert Aalbers as a member of the F.U.N. group, then distributed by European Software Partners, then sold by Seven Hills Software, the new v2 included here supports the 4soniq quadri/octo-phonic card by Manila Gear. 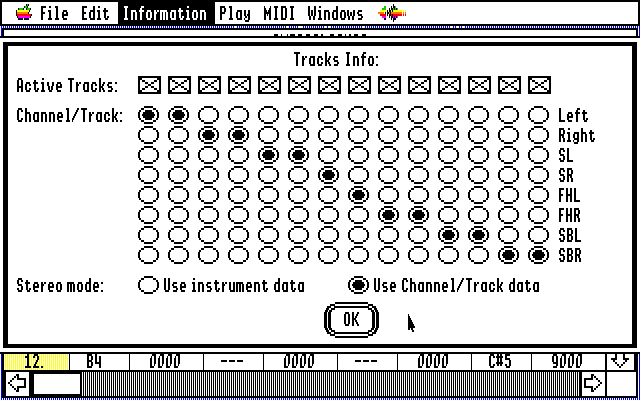 Instruments or Tracks can be set up to the eight different output channels. The new Load Wavebank loads a binary wavebank into RAM. That is a useful feature for those you do not have the instrument files. The same Load Wavebank is a beta feature as it incorrectly removes instruments from RAM. FTA's Tool219 plays music files generated by SoundSmith v1 or v2. Big thanks to Huibert Aalbers and the FTA for their approval and support. v2.1 (or toolset v1.1.3) is a bug fix release: Stop/Start music was not behaving correctly, non-zero error codes were returned with the carry clear. Thanks to Scott D. for telling us about that.